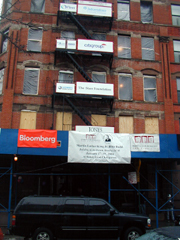 I spent the better part of the day installing metal studs as we renovated an apartment building in Harlem on 134th Street. 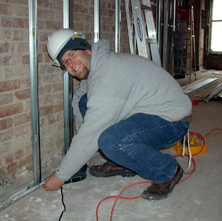 The experience gave me the opportunity to help others and to learn a new skill (I didn't even know there was such a thing as metal studs before today!). 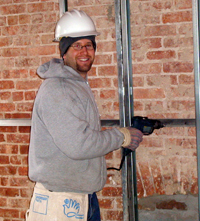 To volunteer with Habitat, contact their website at www.habitatnyc.org. The reward is well worth the effort.